The Alpes-de-Haute-Provence is an area of contrasts. It has a number of vast plains, filled with lavender fields and high mountains, covered in ski trails. The well known writer Jean Giono fell in love with the department. He described it as the marriage of Provence and the Alps, a slogan they still like to use today. 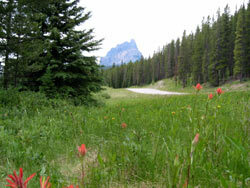 It has over 500,000 hectares of protected natural sites. In the North of the department, you will find the high mountains, which form the valley of Ubaye, near the Italian border. Here you can wander through what has been described as Europe's greatest natural reserve comprising of 210,000 protected hectares. There are a number of ancient towns and hamlets well worth a visit, surrounding this area. In the South of the department, below the area dubbed 'the French Colorado', you will find the Gorges de Verdon, a great spot for both lovers of nature and sport. This impressive canyon is rich in flora and fauna and offers staggering views and a host of activities. 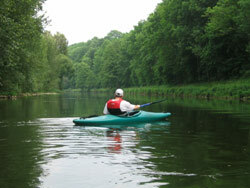 Everything from white water rafting to horse riding can be undertaken here. This area serves as a border to the Var, so you will find that the many appealing villages have a distinctive Provencal look to them. Digne-Les-Bains is the departmental capital of the Alpes-de-Haute-Provence. The town isn't the most exciting place to visit yet it acts as a great base to explore the surrounding environment. Two kilometres east you will find the baths, built on natural springs. This place has become a pilgrimage for people with rheumatism and respiratory problems. To reach the Alpes-de-Haute-Provence by air, fly into one of the airports on the south coast of Provence. Nice, Toulon and Marseille all have regular and direct flights from the UK. An alternative would be to catch the TGV train service, which stops in Aix-en-Provence. Being inland, this department has more affordable properties. You are also likely to find a number of properties requiring renovation. At the time of writing we have a four-bedroom house in the spa town of Digne-les-Bains for 274,000 euros. Do you know Alpes de Haute Provence better than we do? Do you have photos of Alpes de Haute Provence? WHERE IS Alpes de Haute Provence? Alpes de Haute Provence is in the centre of Provence Alps Cote d'Azur.